So the question is are you and your family doing all that you can to conserve water? 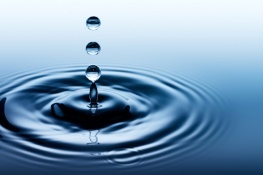 The average American family uses ~7,100 gallons of water a month. (Water Research Foundation, 2011) If you use public water, go grab your last bill and check what your monthly usage is. If you are below the average, great job, but how about seeing how low you can go! If you are over the average, not to worry, we have a bunch of straight forward changes that will help you reduce your water usage. The primary water consumers in the home are your toilets (approximately 28% of indoor water usage for American families). As a first step, make sure that your toilet is not leaking any water between flushes. A toilet leak can waste up to 200 gallons of water a day. (Niagara Conservation) To determine if this is the case put several drops of vegetable dye or several tablespoons of a powdered fruit drink mix in the toilet basin. Be sure to put enough dye in the tank water to give the water a deep color. Wait 30 minutes and make sure nobody uses the toilet. After waiting, if you find any of the dyed water in the toilet bowl -- your toilet is leaking. The question will be then be whether you can fix the leak yourself or if you need an entirely new toilet. You can call your plumber or if you want to investigate more on your own, read this informative article, Toiletology 101, that gives tips on how to fix a leaky toilet. If you are ready to purchase a new toilet be sure to get one that has received an EPA WaterSense rating. The key is to compare how many gallons per flush the toilet is rated at. Prior to 1994 most toilets averaged 3.5 gallons per flush. Since then toilets tend to be in a range from 1 to 2.5 gallons per flush. Given an average household that flushes 11 times per day any reduction in gallons per flush will add up quickly. Some might know the old saying, “If it's yellow, let it mellow. If it's brown, flush it down”. This practice of not flushing if there is only urine in the toilet provides another way to save water by reducing the number of times you flush the toilet each day. Remember that a toilet should not be left un-flushed more than a day or the bowl will become dirty and stinky. If you do not have a low flow toilet, you can reduce the water used in each flush by adding a small jug of water to the toilet basin. Fill a half gallon container such as a plastic milk bottle with pebbles and water. If you just fill it with water, the container will move around in the tank and interfere with the flushing mechanism. Place the container in the tank. This solution is not recommended for a low flow toilet as it has been designed to use a certain amount of water and reducing this flow could cause issues. The next easy step is to install an aerator in each faucet. Aerators restrict the water flow into many tiny streams which reduces the overall amount of water used. It will also increase the water pressure of the flow. If an aerator is already installed on your faucet, it will have its rated flow imprinted on the side. The rating will be listed as X.X gpm (gallons per minute). If the rating is over 2.75, replace it for a model with a lower gpm rating. If no aerator is installed, check to see if there are threads just inside the tip of the faucet. Most modern faucets are threaded so that an aerator can be screwed in. You should be able to find aerators at your local hardware store or at Lowes or Home Depot. We also provide a link to purchase one via Amazon in the Recommended Products section to the right. Most are very inexpensive usually costing less than $10. Do you have an Energy Star dishwasher? If yes, do you rinse your dishes prior to putting them in the dishwasher? If yes, this is an easy change that will save you 20 gallons of water per cycle. (energystar.gov) If you do two loads of dishes a week that adds up to 2,020 gallons of water a year. Energy Star dishwashers and actually most dishwashers manufactured since 1994 are built to easily handle food residue. Always try to do a good job scraping remaining food off of your plate and then let your dishwasher finish the work. For very dirty dishes let them soak before putting them in the dishwasher. If you do not have an Energy Star dishwasher, consider purchasing one. You will save water by not rinsing your dishes, these appliances are designed to use less water to clean the dishes, and you will also save electricity with each load. Go to www.energystar.gov for more information. One other tip in the kitchen is to dump extra water into your watering can to be used later to water plants. Extra water can be found in water glasses, refillable water containers, and even in steamer pots for vegetables and pasta. One personal ritual that uses a lot of water is personal hygiene. Don’t worry, we are not going to suggest that you stop bathing! But you can make smarter choices when you wash. First, showers typically use much less water than baths. And that water usage will be further reduced if you use a low flow showerhead. A full bathtub typically requires about 70 gallons of water, versus 15 gallons by taking a 6 minute shower using a 2.5 gpm low flow showerhead. That adds up to 1,375 less gallons of water used a month if you took 25 showers during that time. Getting back to the low flow showerhead… I know I too want strong water pressure when I take a shower. I promise that when I switched to a 2.5 gpm shower head I did not notice a difference in water pressure. As with a faucet aerator, it should be easy to screw off your current shower head and replace it with a new one. You can find low flow showerheads at your local hardware store, Lowe’s, and Home Depot. We also provide a link to purchase one via Amazon in the Recommended Products section to the right. Most are inexpensive usually costing less than $15. If you take showers, time how long you spend in the shower. Think about your bathing rituals and see if there is anything that you can change that would shorten the length of your shower. I finally found a 2-in-1 shampoo/conditioner that I liked. This change allowed me to shave a minute off my shower length. Another thing you can do is to turn off the water while you are lathering up your hair and body. Personally, I get cold easily, so I haven’t made this change, but if you are up for it, you will definitely save water with this practice. And then finally, just as with washing dishes, pay attention to when water is running while at the bathroom sink. Does it need to be running the entire time while you are brushing your teeth? Do you need to fill up your rinse glass to the top or would ¼ or ½ full be enough water? Once you start paying attention to your water usage, you will find easy ways to reduce it. Water is a precious resource and we can all do our part to treat it a luxury and not something that has a never ending supply. Thanks for taking the first step! Check all faucets and toilets for leaks. If you find any, fix immediately! Don’t rinse before putting dishes in the dishwasher (as long as it was made before 1994). Purchase faucet aerators and low flow showerheads to reduce the amount of water you use every day. Look for EnergyStar rated dishwashers and toilets when you are ready to replace your old ones. Avoid letting water run when you don’t need to be – washing dishes, washing hands, brushing teeth.